Andreas explained concepts of Open Source and how Debian Linux is different from other Linux vendors such Novell SuSE and RedHat. 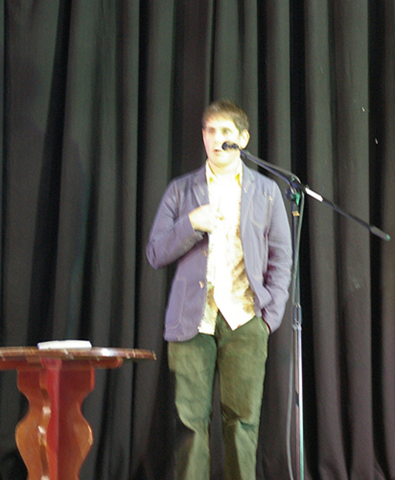 Andreas mentioned that there are over 18,000 different software packages for the Linux operating system. Which is fantastic for the end user in terms of choice, but at the same time is rather scary or confusing, this is where the Debian community is different. 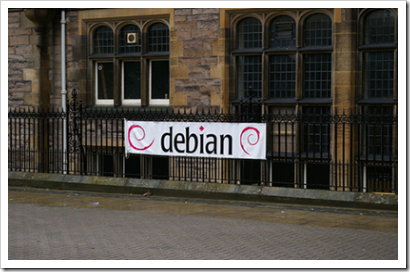 Within the community are focus groups that advise and recommend software packages you could choose to install on your Debian system. 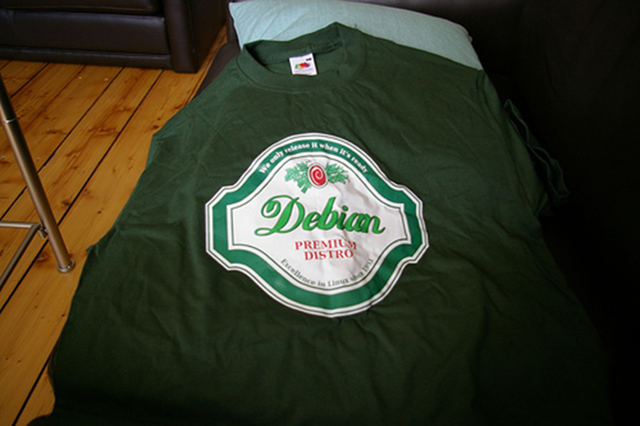 In Andreas case he ran focus group interested in medical software packages for the Debian system. The Luxembourg and Stockholm based company Spotify decided not to reinvent the wheel (operating system), just modify it slight to match their business requirements. Something they simply could not have done with any other operating system without incurring large development costs. Spotify is a bit like Apple’s iTunes store, although instead of downloading any of the music it simply streams to either your PC or mobile phone. It reminded me of a very similar product to that of the online music jukebox Pandora. If your into music, it’s worth keeping and eye on this project. 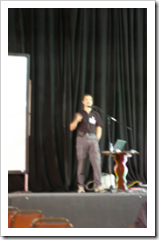 Knut talked about how teaching of IT in schools should not be just about using Microsoft Office. How teaching IT should be about using fun and creative tools, such as Stopmotion and Gcompris that actually engage children to be creative. 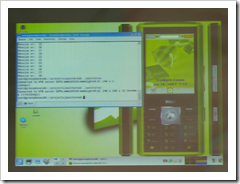 Not sure why, but Knut started talking about the Greenphone, which was very interesting never the less. 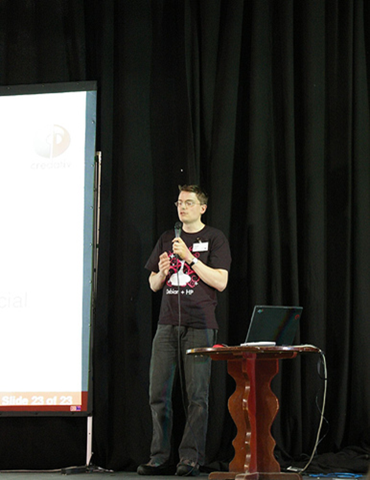 Bdale Garbee talked about the history of Debian and HP, and its increasing commitment to Open Source software. HP recently announced full driver support for its very popular server range, ProLiant. HP has also increased the range of support packages available for Linux too. Nick talked about how his company clients are not only seeing the advantages of open source in terms of zero licensing costs, but when their businesses requirement changes. Had the customers gone a with a more traditional based software then these changes would have meant either waiting for the next release and hope that these additional features are included or simply starting again with a new product. Nick also talked about ethics behind Open Source and methodologies that form our laws on copyright, which sparked a topical debate at the end of the talk. Credativ provide Open Source solutions for the medium to large sized organisations in the UK and Germany. 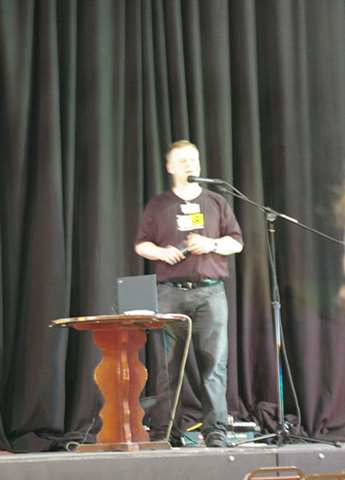 Chris spoke about the adoption of Linux in the UK is much less than that of Germany and Spain. How here feels Linux is more than ready for the enterprise and how most people use Linux everyday without even realising. 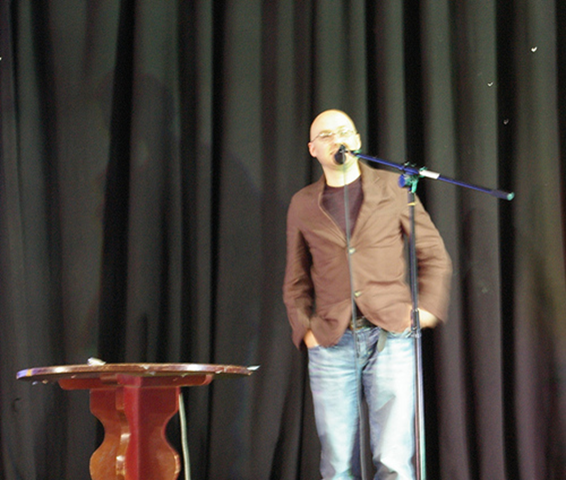 Patrick Harvie is a member of the Green Party and has been an MSP for the Glasgow region since 2003. 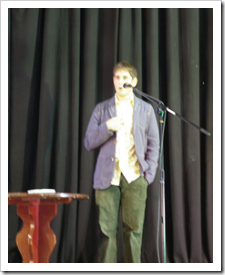 He is firm believer in Open Source and Free Software, and a Linux user. Patrick believes by investing in free software, government commissions can provide maximum benefit to the public by developing software and tools which others are free to use. The school curriculum should cover the principles of Open Systems and free software to ensure that we are educating people to understand these concepts. Previously he caused a bit of a stir when he asked how much The Scottish government had spent on licenses from Microsoft. He also highlighted a recent PR event Microsoft organised with the MSP’s which coincided with the release of Windows Vista. If I had been a business person with an average IT skill set, then I would have probably been a little bit baffled at times and might not have come back after lunch. Maybe if the start of the day had been a series of talks aimed at business people and non-users of Open Source, the event could attract more people. 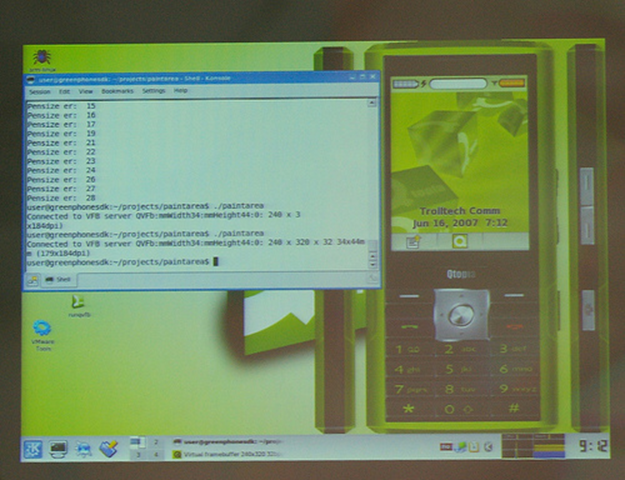 From technical point of view, although not an end user of the Linux operating system, I found the event informative and interesting insight to Debian. 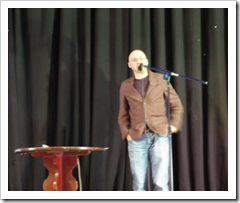 I especially enjoyed the talks from Nick Mailer and Patrick Harvie. 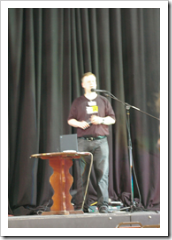 Both of which did not actually have any slides or laptop, which just goes to show you do not always need slides. 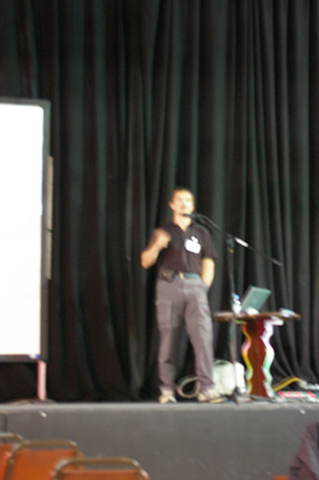 The event was well organised by various volunteers who had travelled from all over the world to be at the Debian Conference 2007. 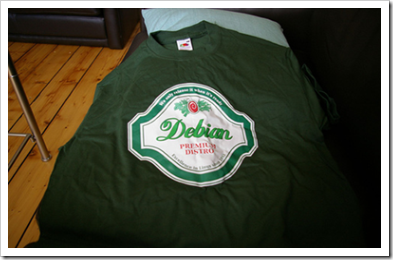 At the end the day I show my appreciation by purchasing geeky Debian t-shirt. 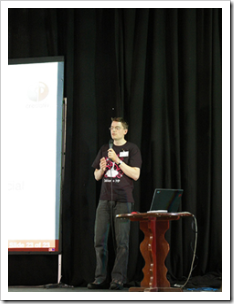 I also had a quick chat with the guys from Edinburgh Linux to find out a little more about what they do. 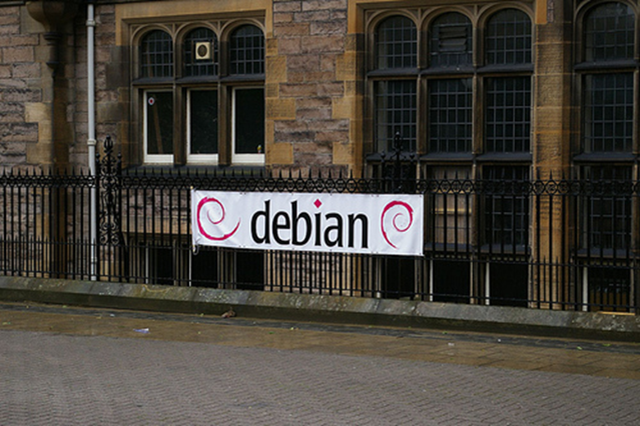 If you want to find out more about Debian, the conference is on for the rest of the week. Very thorough weblog! Thanks for the URLs! Been an advocate, handing out thousands of GNU/Linux CDroms, since 1997. The community is growing by phenomenal amounts! China and India are HUGE! Though tardy, Dell has shown up at the feast, and early returns for Dell Ubuntu sales are large! Asustek/Intel effort to release a $189 laptop running a Linux by Fall are on! Lenovo is selling massive numbers of Linux systems! All the hard work by tens of thousands of developers of Open Source programs, and the many promoters in the workplace, in the trenches, are seeing positive results. Thank you for all your work. I want to mention here, that I have been suspended three times in different identities from Yahoo Answers, for mentioning Open Source solutions in the computer answer areas. Yahoo is playing the Microsoft game of ignoring it’s base. Alienating your customers is not the way to earnings in the market! Yes, there are a lot of idiots in the proprietary arena, seemingly following in the steps of SCO. I really appreciate what everyone in the community does for Open Source projects. I’m no programmer but I try to provide documentation and I know that some of our engineers contribute to FreeBSD and WINE. Although maybe with software moving to service base model may save Microsoft bacon? Just a thought on the matter. Interesting stuff you say about Yahoo?